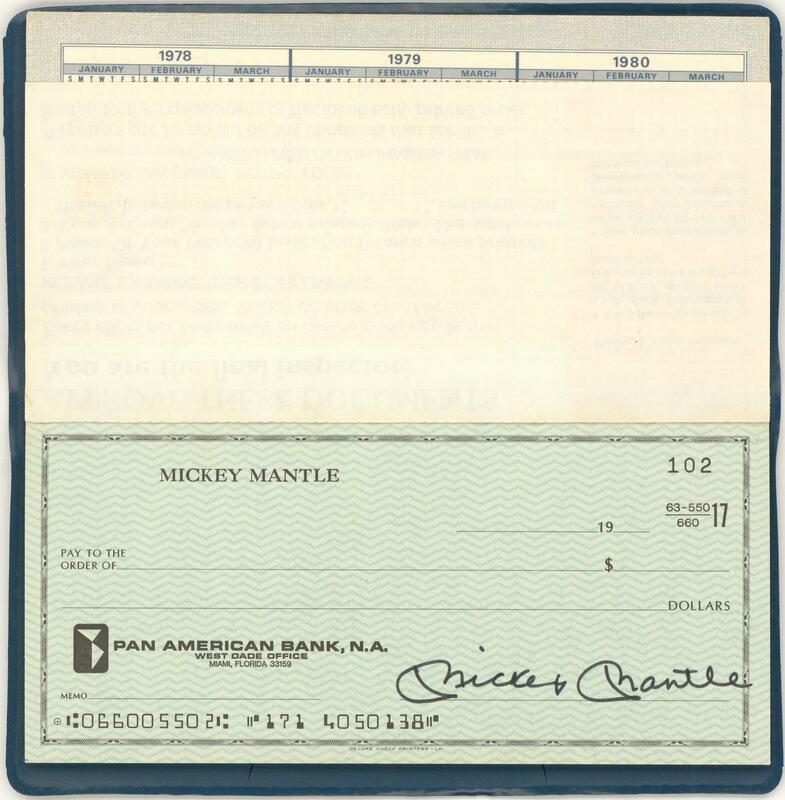 Mickey Mantle personally owned and signed this Pan American Bank checkbook. Mantle, an 18-year veteran of the Major Leagues, hit 536 home runs and won three American League MVP trophies in a career that culminated with a plaque in Cooperstown. 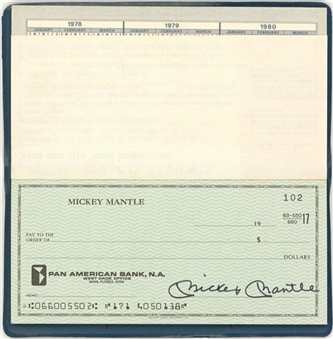 This checkbook features more than 20 checks printed with “Mickey Mantle”. 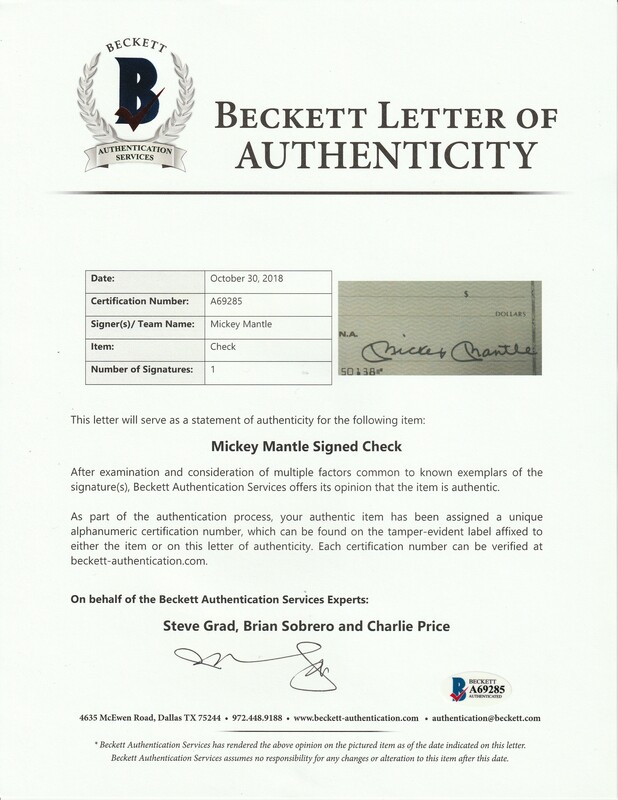 The Mick has signed the first check in this book using a fine-tip black marker. 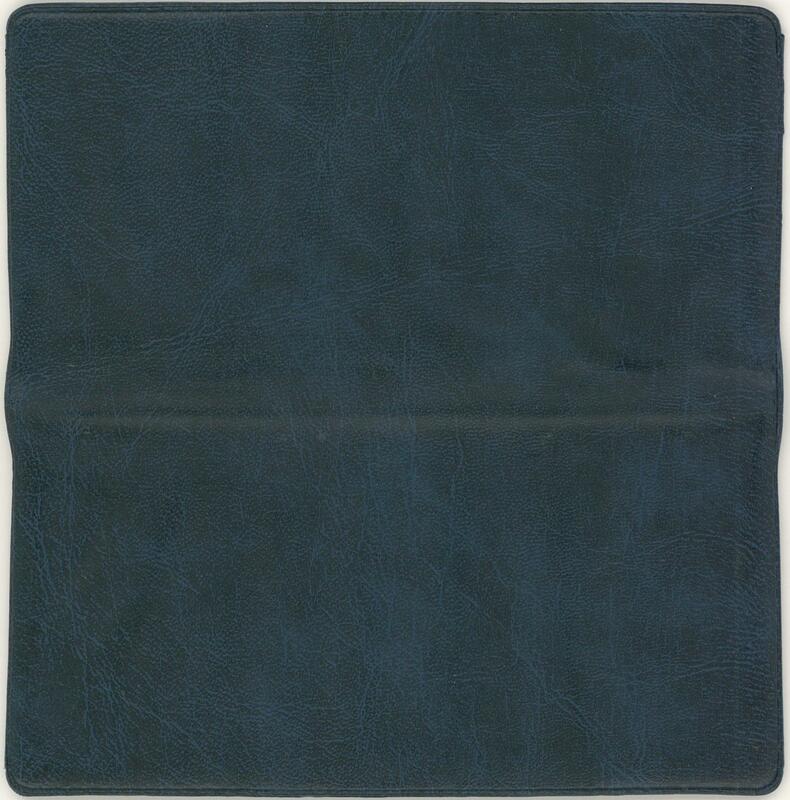 The checkbook is bound in a simple blue binding and it comes with a LOA from Steve Grad of Beckett Authentication (A69285) for Mantle’s signature.